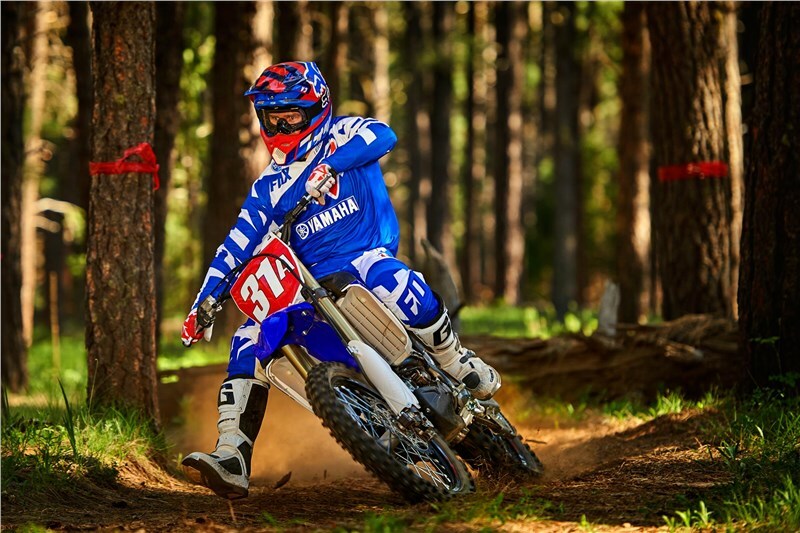 A nearly identical bilateral beam frame that is found on the championship winning YZ450F is used on the YZ450FX. 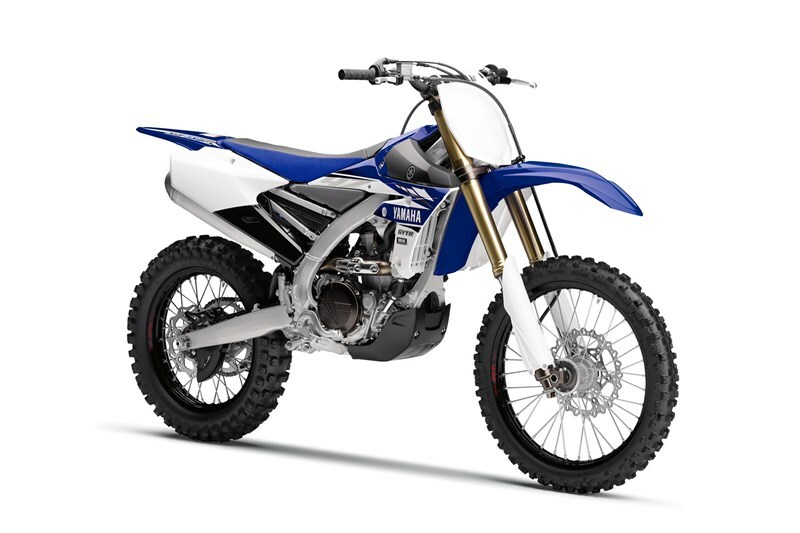 It places the engine, fuel tank and exhaust close to the center mass of the bike for extremely light and nimble handling character. 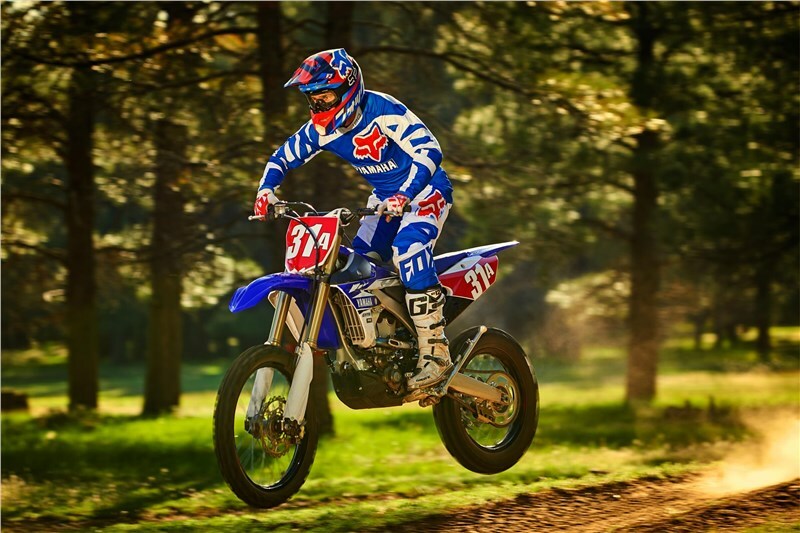 The YZ450FX features an electric starter to help reduce rider fatigue along with a new main switch-free electrical system for easier starting off. 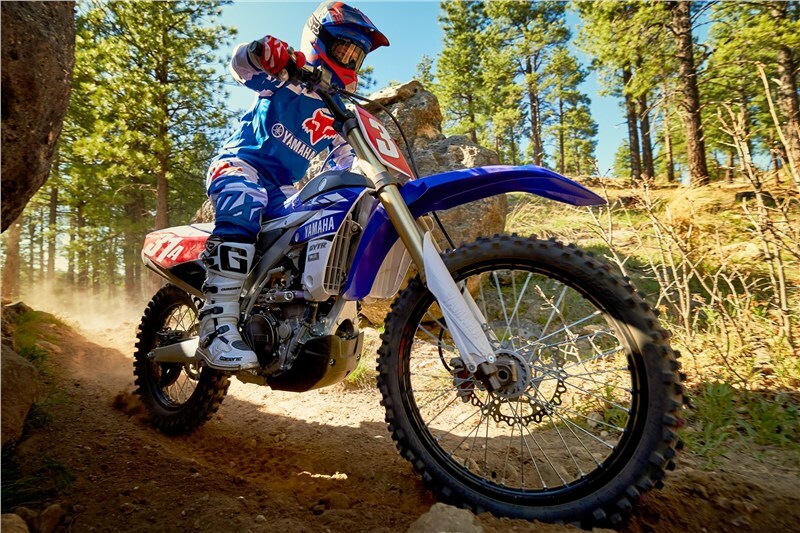 YZ450F-style 449cc liquid-cooled DOHC four-stroke, with forward-positioned straight intake, delivers massive power specifically tuned for cross country racing, to challenge for race victories in the very competitive GNCC® and Hare Scrambles race series. 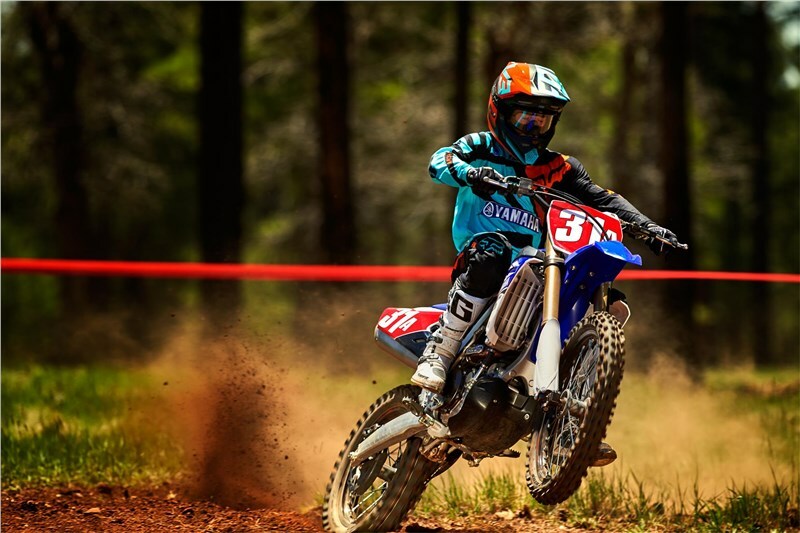 The position of the engine moves the rotational mass of the cams towards the center of the bike which allows for a straight shot, down-draft intake and straight exhaust port for ultimate performance. 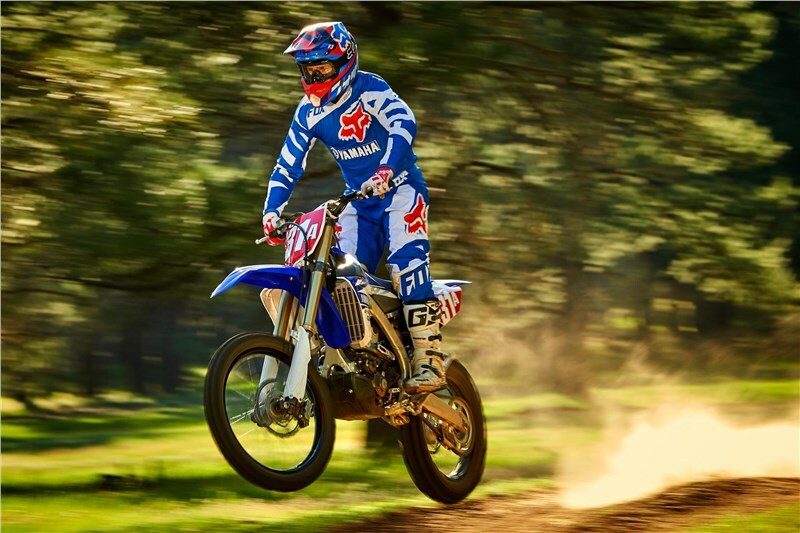 This also keeps the airbox up high, out of dust and mud/water. 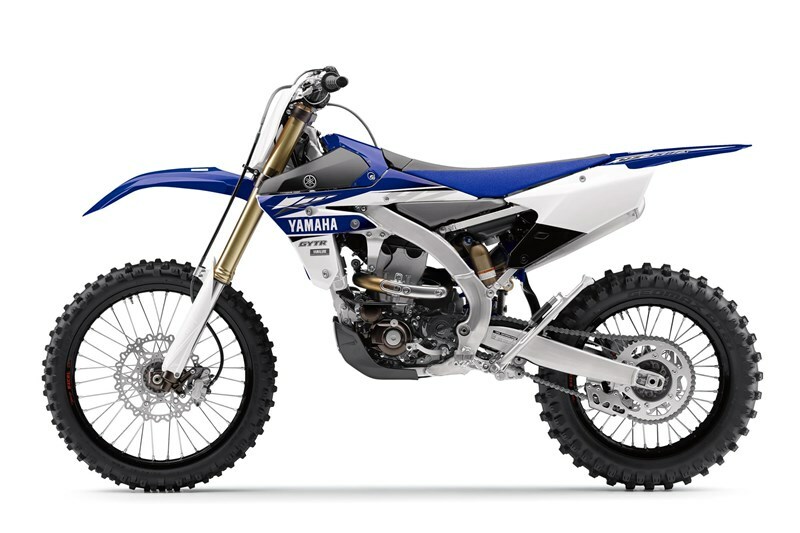 Lightweight YZ450F-spec exhaust system maximizes engine power while centralizing mass, thanks to the innovative wrap-around header design. 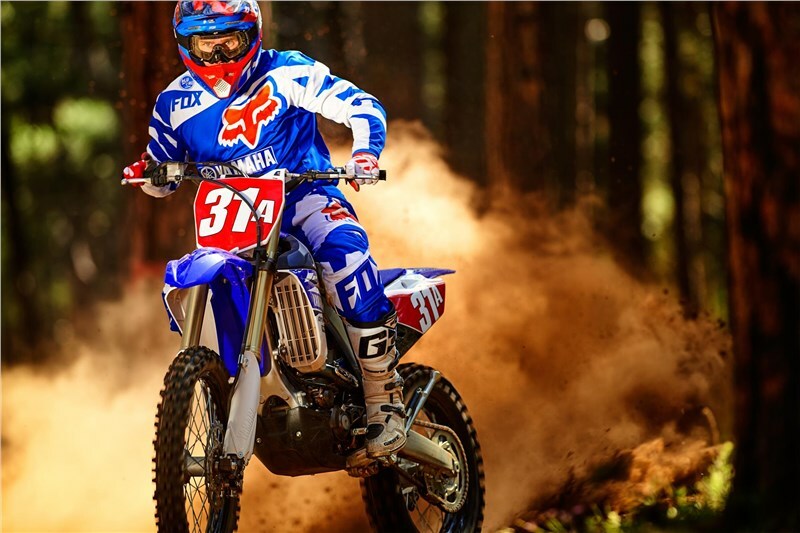 The fuel injection system uses 3D mapped electronic control for the fuel and ignition timing that are optimized for cross-country racing, with a YZ450F-based 44mm throttle body. 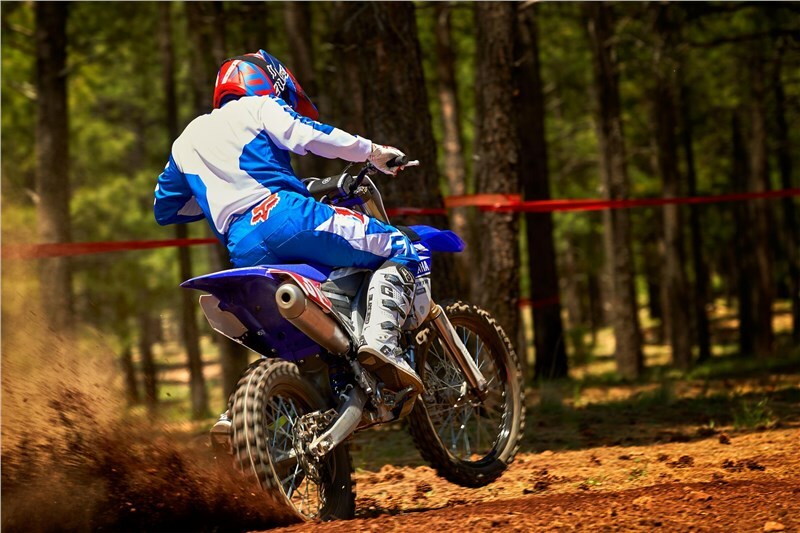 A five-speed wide-ratio transmission is used to insure the right gear is selected for a wide variety of terrain found in cross country racing, from tight single tracks to wide-open desert blasts. 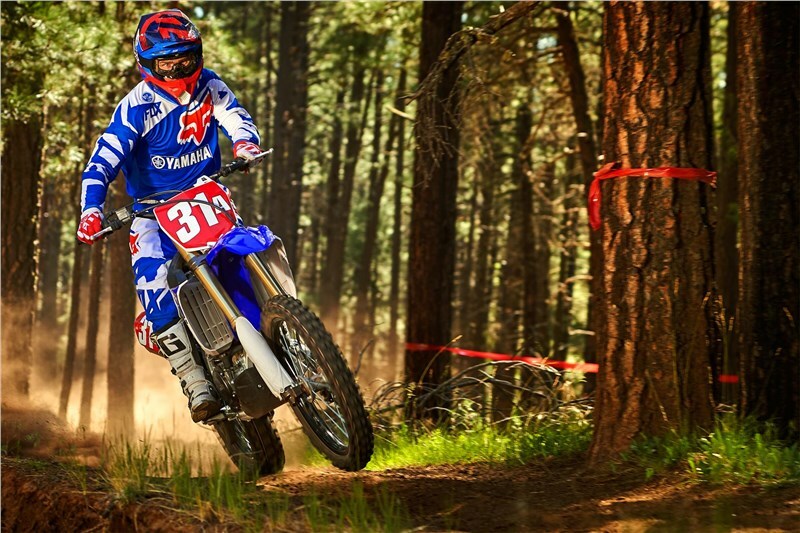 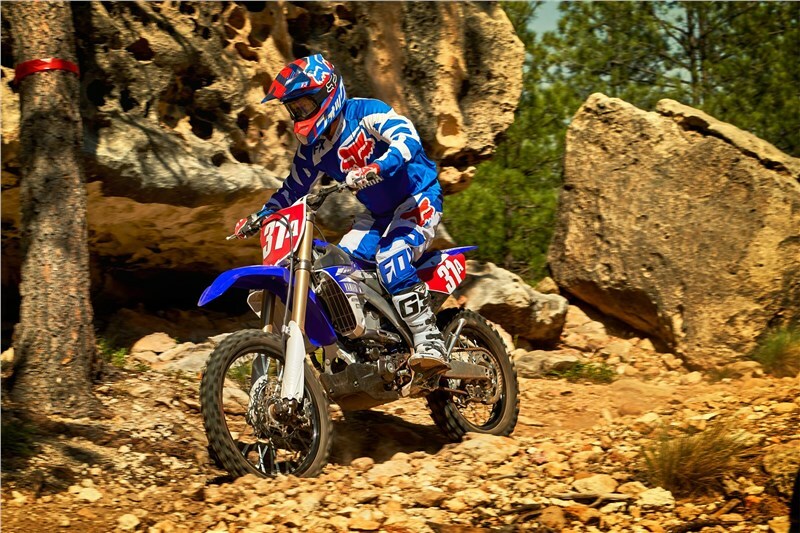 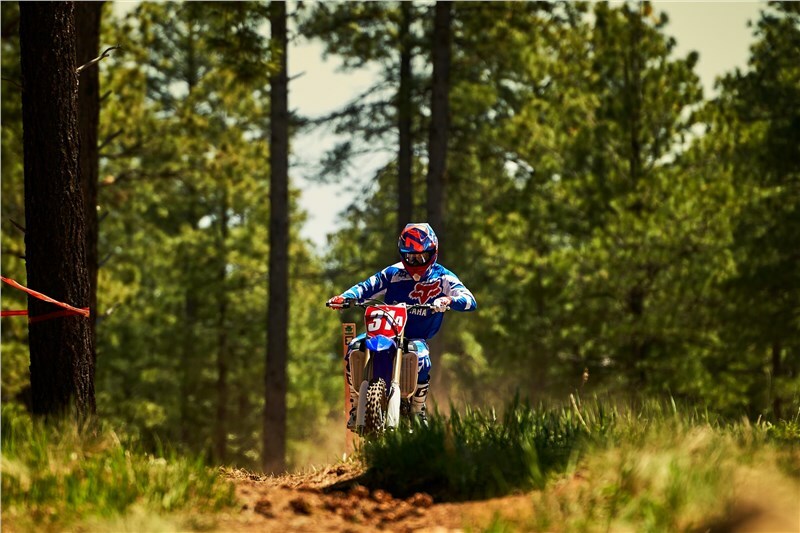 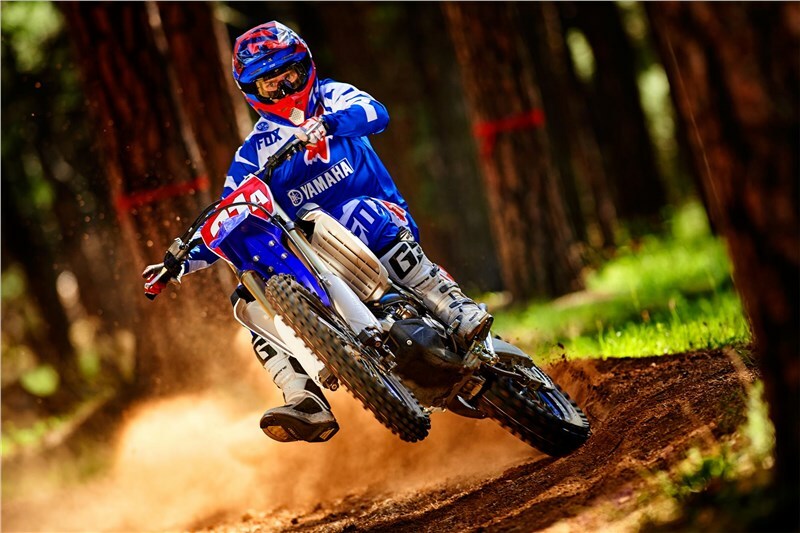 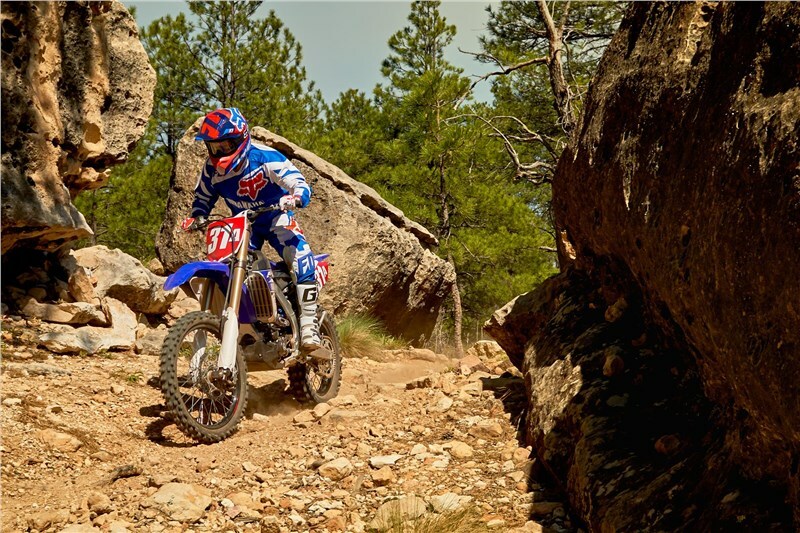 Based on the YZ450F, the clutch plate material, springs, push lever and oil valve are optimized for cross-country racing. 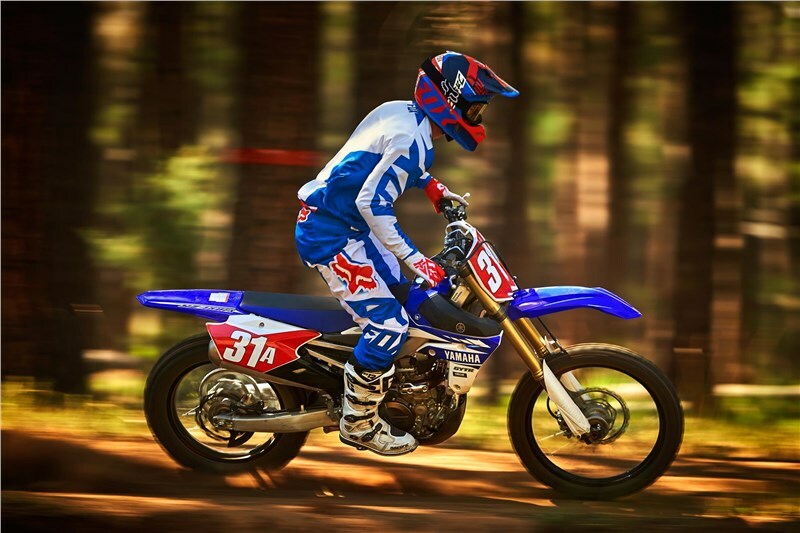 Large-capacity YZ450F radiators provide maximum cooling efficiency with great strength, and can be fitted with an accessory cooling fan for additional airflow at slower speeds. 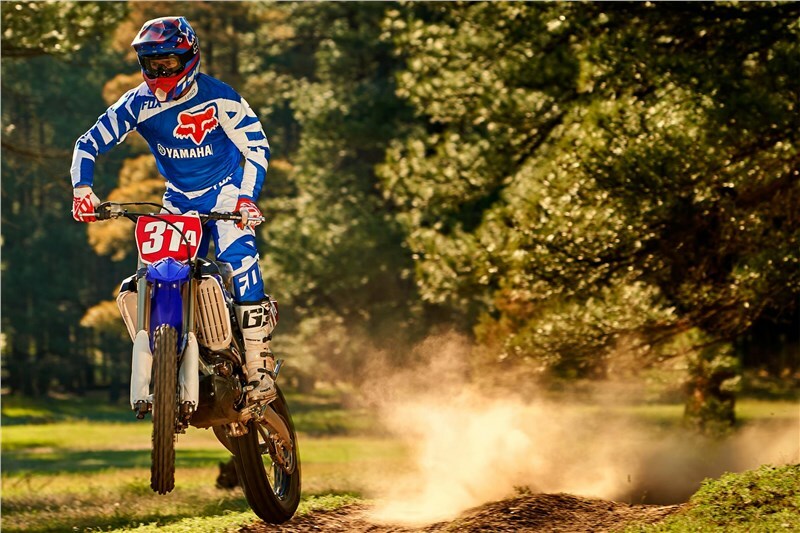 Push button electric start makes starting the YZ450FX easy and convenient, complete with a simplified electrical system. 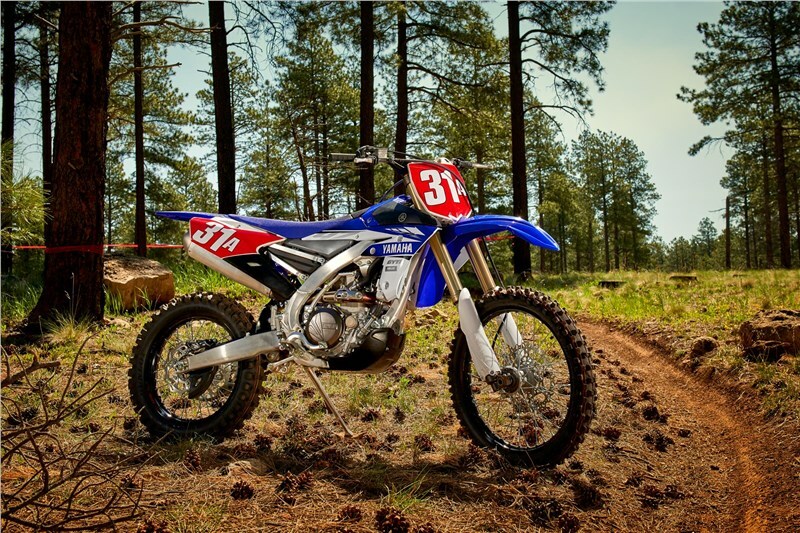 YZ450F-based frame offers a compact size while optimizing mass centralization. 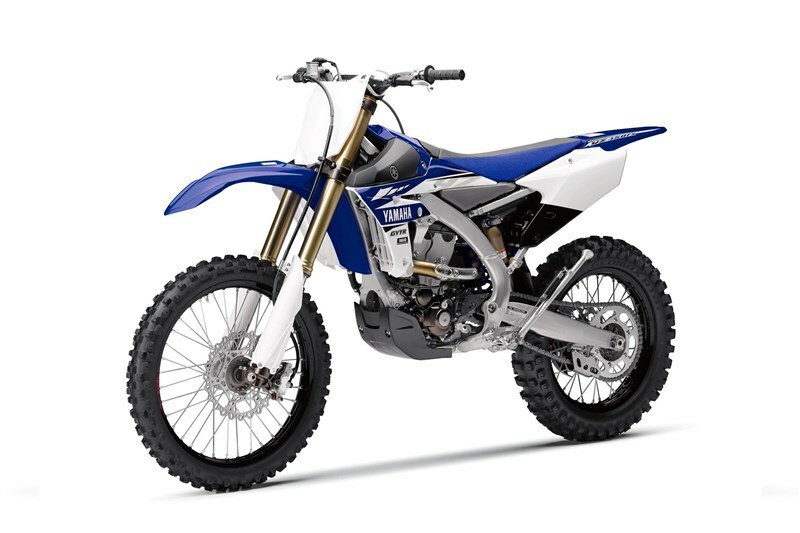 With its extensively tested assembly of aluminum forgings and extrusions complete with model-specific engine mounting, the FX frame retains legendary Yamaha handling and response. 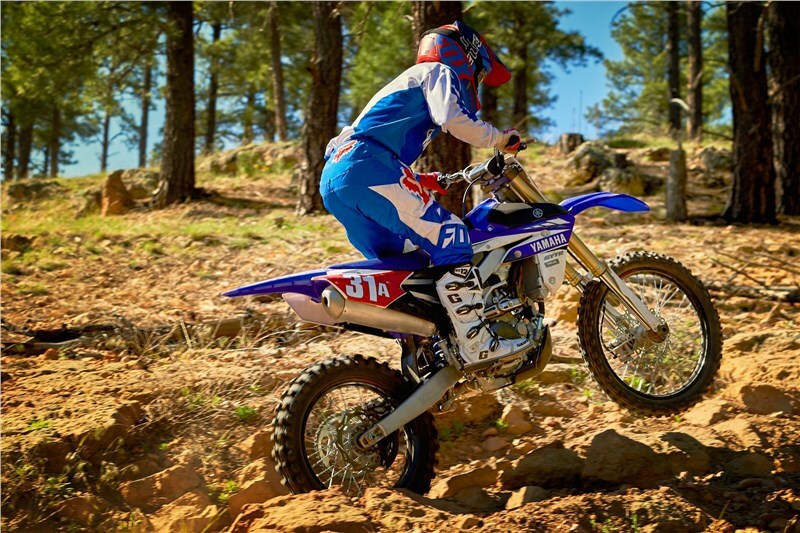 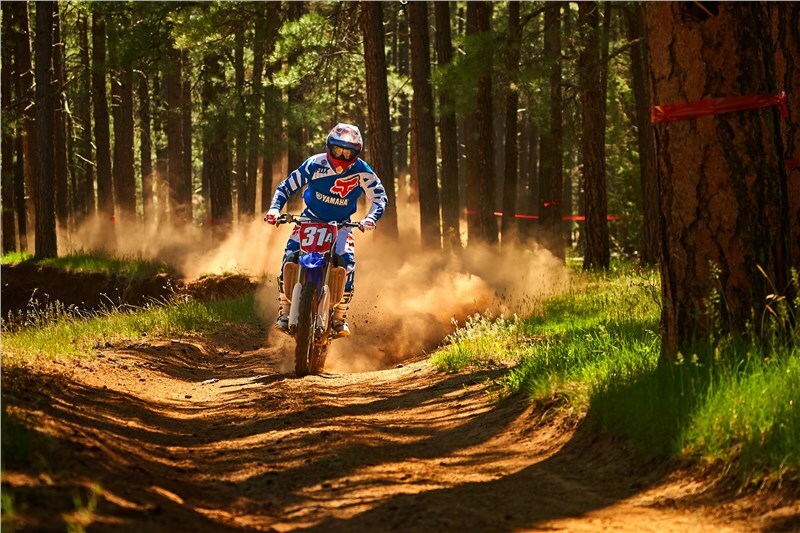 Fully adjustable YZ450F-based KYB® spring-type fork with speed sensitive damping delivers precise, fade-free handling. 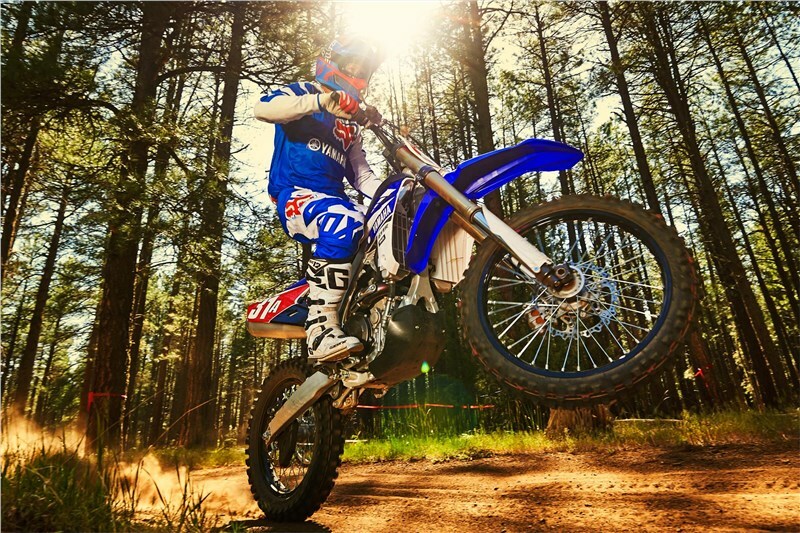 The rear linkage and KYB® shock provides 11.6 inches of travel with adjusters for high- and low-speed compression damping, rebound and spring preload—and features a large piggyback reservoir for excellent damping and fade resistance. 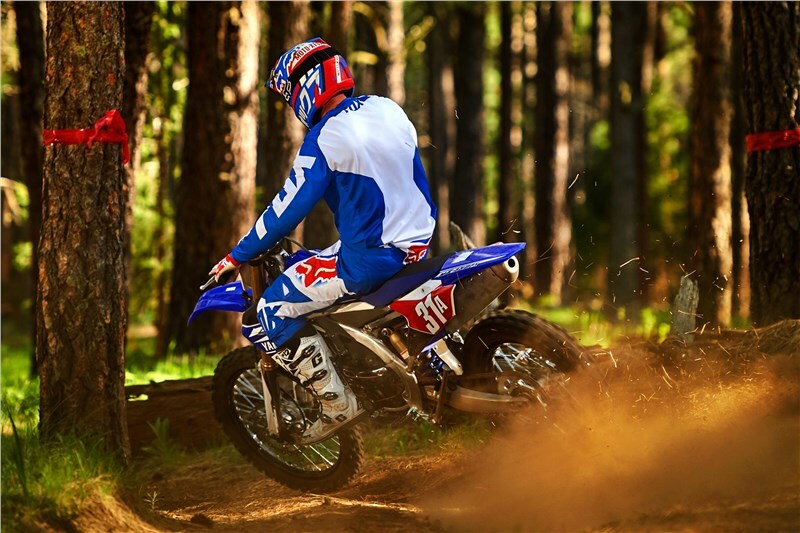 270mm front brake system provides exceptional stopping power and braking control. 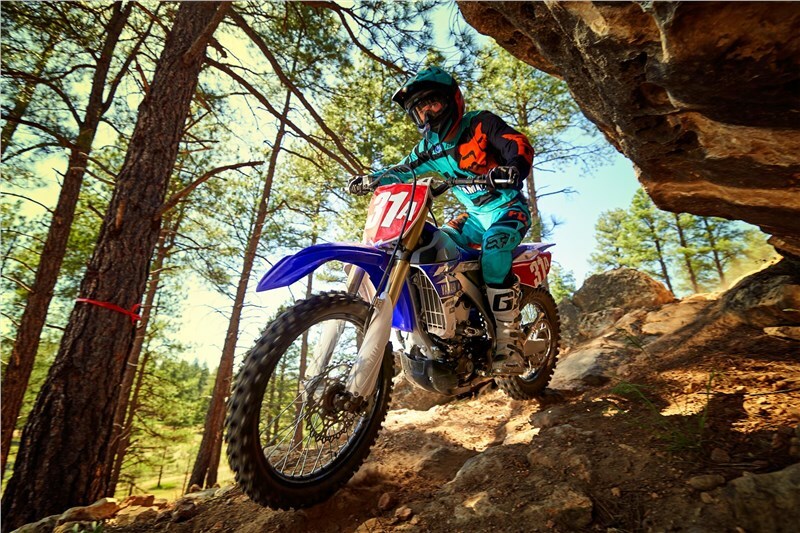 Lightweight 21-inch front and 18-inch rear rims provide exceptional durability with enduro-specific tires. 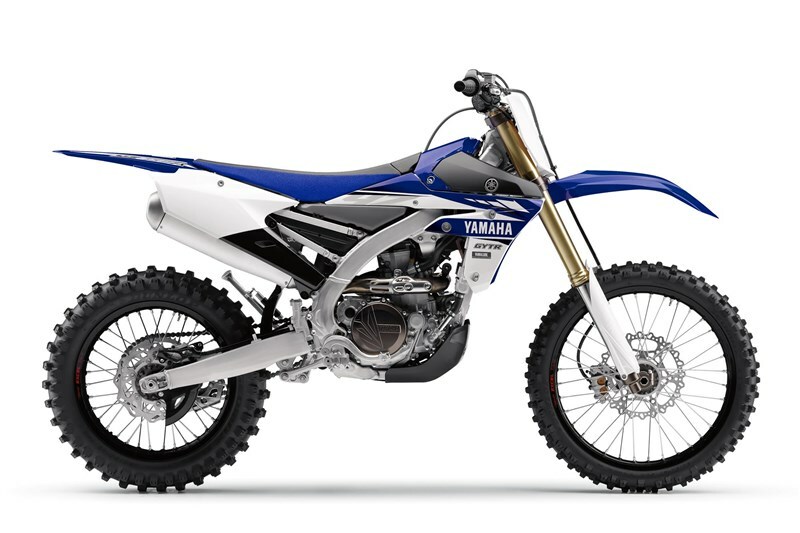 Rugged plastic skid plate, quick-adjust clutch, aluminum handlebars and a side stand are standard for added rider convenience. 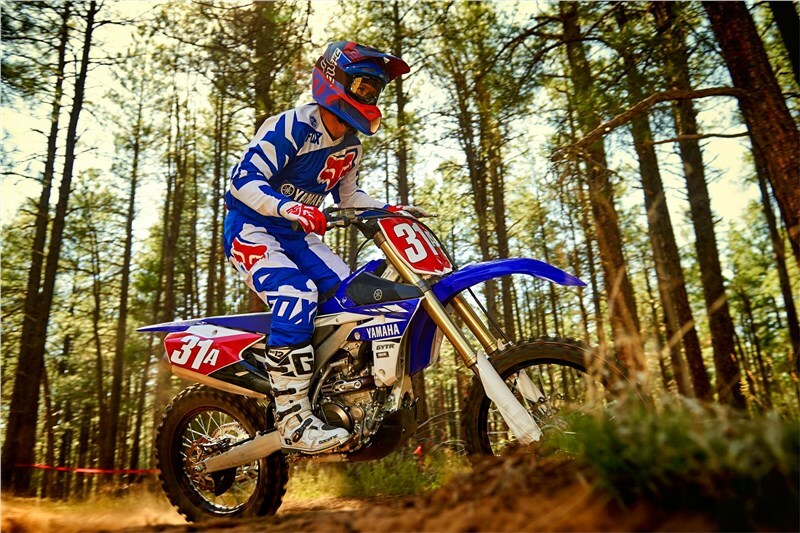 High quality O-ring chain is tough and durable.